I usually do a Ten for Tuesday – ten things I want to talk about. Since I was busy reading, I’ve put it off until Wednesday. So… ten books I share with my son. 1. The Percy Jackson series. Ah… Mr. Jackson. He will appear again later in this list. 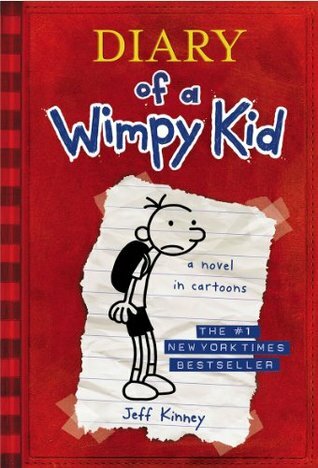 This is the first series that the son and I really both read and enjoyed. He has been a huge fan of this series for years, which is nice, considering his age. I enjoyed it because I like mythology – he enjoyed it because he likes adventure. This series was the first one to show me what it was like, having a reader for a child. 2. 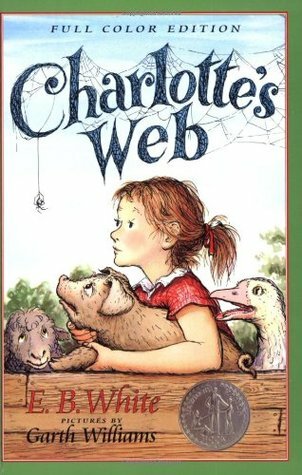 Charlotte’s Web was a book he was assigned in school. When I saw it I did a little exclamation of joy – as a child it was one of my favourites. My mom, learning my son was studying it, also did an exclamation of joy. We talked to him about our memories of the book and about what we enjoyed when reading it. We discussed favourite characters and quotes, remembering how sometimes you can be a good writer and sometimes you’re a good friend. After all of this build up, he read it and disliked it. Well, he didn’t like it. It didn’t grab him like it had obviously grabbed us. This opened up a discussion for us all about why people like different books and what about them makes us like them. 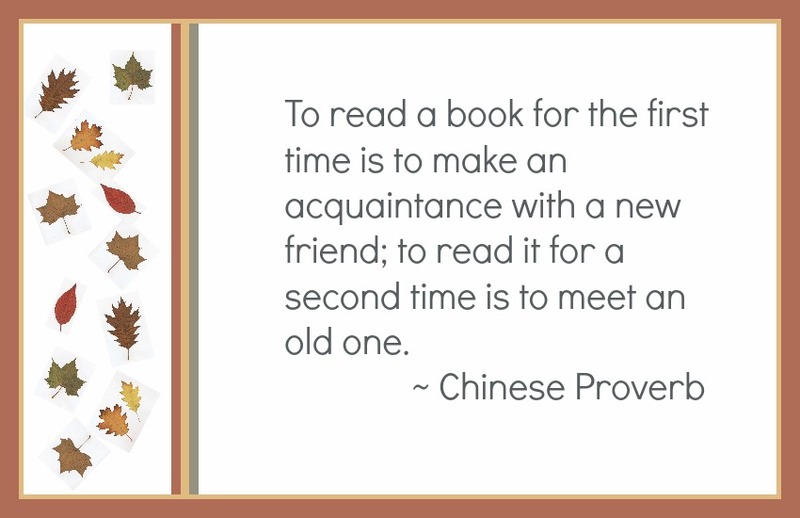 So, not a shared memory of literary appreciation, but a sharing of thoughts and concepts. Great discussion starter. 3. The son has loved the Wimpy Kid series since he was in kindergarten. Loved it, loved it, loved it. I had recommended it to him, not because of my enjoyment of it but because of the format – part graphic novel, part novel. Plus it was age appropriate humour. I have to admit, I didn’t read one of them (although I did see the movies) until last year when I read one about them being snowbound. I could see where he found the humour and the connections with the characters. He couldn’t wait for me to finish and wanted to know what I thought – I think he liked being the expert! 4. This summer we took a longer road trip and I encouraged the son to load several books on his Kobo. After seeing a promo for The Giver as a movie, he decided that would be one of them. I talked with him about dystopia and how it works in a novel and how it has become quite popular. And then, going across the province, he read it. 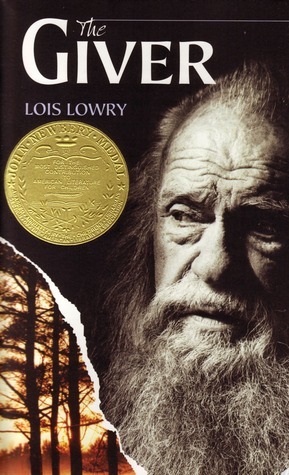 It was interesting, getting his reactions – I had taught this book to a class not much older then him, and getting his thoughts vs my memory of their reactions was interesting. We discussed how it’s a series (and how I’ve only read one of the follow up books) and why people either read or discard series when they’ve read the first book. He has had no inclination to read the follow up novels (much like myself) but did really enjoy the movie and how it presented this story. 5. 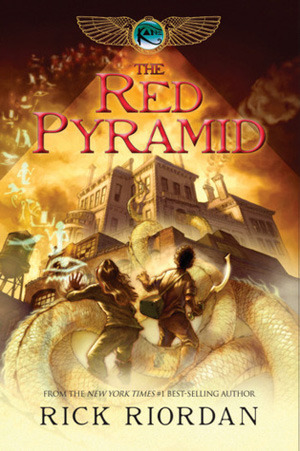 The Kane Chronicles were a series he moved to after he finished the Percy Jackson series. I had started to read them but stopped – it didn’t draw me in as much. However, seeing his enthusiasm brought me back to them and into that world. 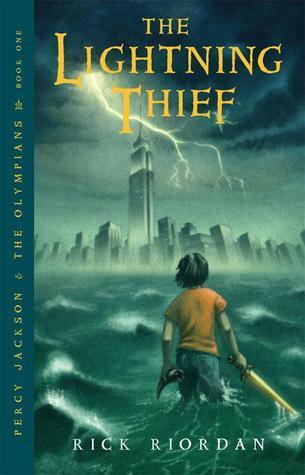 We have found ourselves discussing the differences between characters in this series and Percy Jackson and we’ve each read the novellas that cross over the two. I think there are characters he likes more in this one but he likes the Percy Jackson series as a whole more. I have to agree with him. 6. The Maze Runner is a new addition to this list for us. I have to admit, I didn’t enjoy the world created in this book. However, he was intrigued by the movie trailers and when given the opportunity to go with his grandfather, went to see it. We’ve discussed his impressions of the movie and the story it presented and now he’d like to read it. It’s the first book I think he’s chosen to read knowing that I have a dislike for it and it will be interesting to see what he thinks. Also, if you ever wonder if movies get kids to read, he’s proof they do! 7. Speaking of which…. 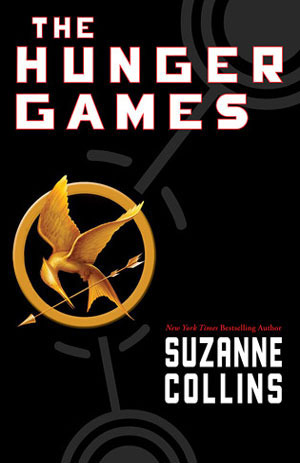 The Hunger Games. After discussing dystopia with him, we watched The Hunger Games movie. A number of his friends are reading it and he decided that he would also give it a try. 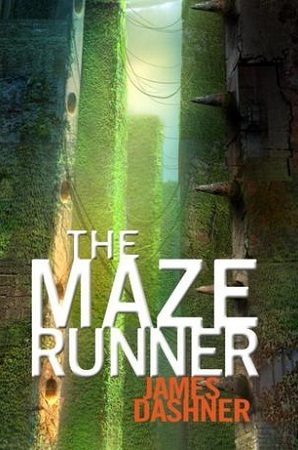 It’s funny – this book is almost the opposite of The Maze Runner. He ended up giving up on The Hunger Games, much like I wanted to do with The Maze Runner. We talked about when it’s ok to give up on a book and why people do that. I will be interested to see what he thinks of Maze Runner, since we know he doesn’t totally love darker dystopian novels. 8. Divergent was another rainy day summer movie for us as we looked as dystopia. Yet, it’s on this list as an example of a movie that ended up doing the opposite of the norm. He does not want to read it. However, like so many experiences like this, it got us talking about books into movies and what we like about those versions and what makes us drawn to watch and/or read what we watch and/or read. 9. This brings us to the books that inspired this post, a post that is mainly “it made us talk about things”. 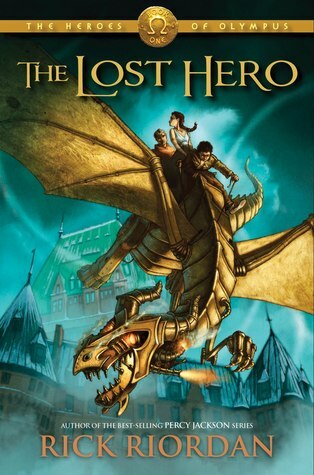 Tuesday, ‘The Blood of Olympus’ came out, the last in the Heroes of Olympus series. This book got the son out of bed and on his iPad to download it; he was unimpressed I could get it before him. It has caused excitement in our house as we got ready for it. 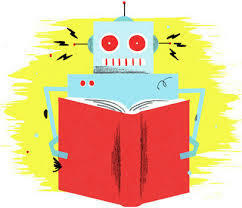 It opened up discussions of ereaders vs traditional books. And we get to hang out with Percy again. It’s a win win win. I love those. And again, I have no ten. 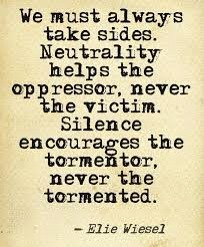 We have to keep that open and hope we will continue learning and discussing. I look forward to comparing this list to one we will make when he is older. I hope this relationship with reading and discussions thereof continues, past the age when it’s accepted to talk with your parents. I’ve mentioned Divergent several times on this blog. 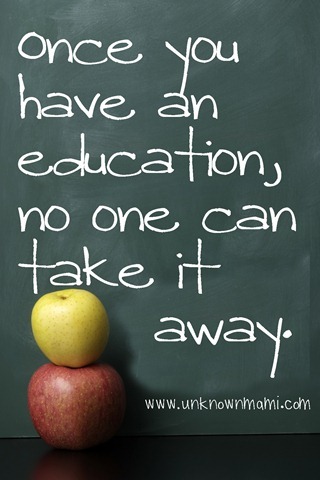 Thing is, it’s on the top of my mind- next week I begin teaching it. So, I thought, why not review a book I am teaching? Especially since I am rereading it right now, making notes in my kobo and designing/modifying a unit of study for my students to complete on it. My brain is all divergent right now! Divergent by Veronica Roth is a modern dystopian novel. Set in future Chicago, the world outside of the fence has been destroyed by war. Those who were left set about building a society, each with different ideas about why the last society went wrong. Some felt cowardliness, some felt dishonesty, some thought it was because people did not value knowledge. Others still felt it was because people did not help enough and more felt it was because people were not accepting enough. So they formed five groups – Dauntless (the brave), Candor (the honest), Erudite (the intelligent), Abnegation (the selfless) and Amity (the friendly). Each faction lives apart, but each contributes to the well being of the society. When a child reaches the age of 16, they choose which faction they will belong to for the rest of their lives – do they stay with their parents or seek a different way of life? They get tested, a test which is supposed to help them understand who they are. Our main character, Beatrice, was born into Abnegation. She is questioning if she belongs there -and then is tested. Her results are inconclusive – a dangerous result in their society. She is deemed divergent by her tester and told to never speak of it. She knows she could choose from any faction – stay with her family, as they are expecting, go to Dauntless or Erudite, the other two factions that came up as results for her. I will give a spoiler – she chooses Dauntless and becomes Tris, the first jumper and the “stiff” who is trying to be brave. 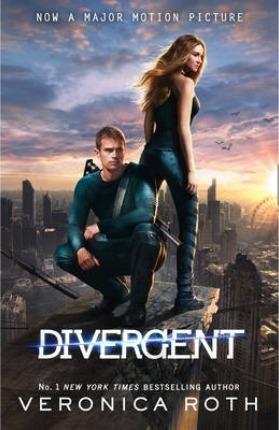 Divergent follows Tris through her training and we see her building relationships with her fellow transfers. She has to try to fit in to a faction that is perhaps the polar opposite from how she was raised and has some struggles. The biggest struggle, however, is suppressing her divergence – hiding that she can be more than one thing. This comes to a head in the end as she is forced to make choices and determine where she fits and what she feels is right and fair. 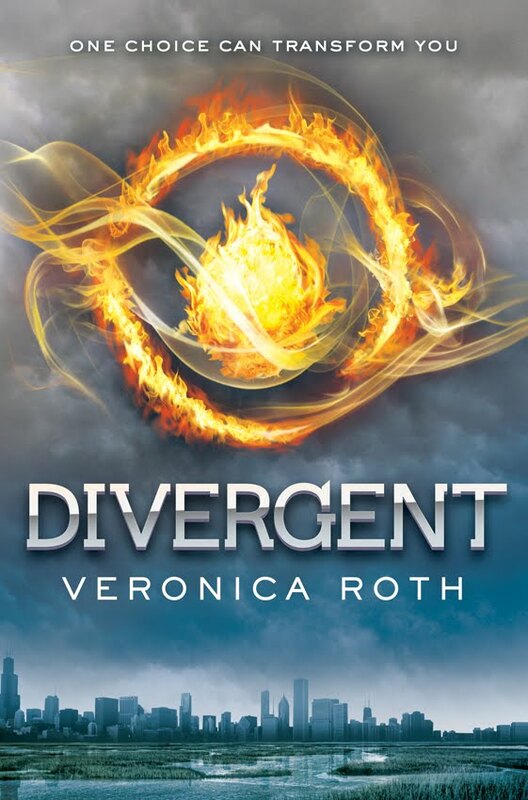 Divergent is a great book for teens, especially in the grades seven to twelve category. They are figuring themselves out – where do I fit, do I need a faction of support or can I survive without a group of people like myself? When you are forced to decide on one characteristic that defines you, sometimes you are hard pressed to determine what it might be – can I not be brave and honest? Caring and wise? When is it brave to be selfless or selfless to be brave? In teaching this novel, teens find themselves questioning these issues, which is a huge part in their development. This novel is not perfect. It’s a little simplistic at times and there are characters that could be more developed. There are questions that you might have as a reader that are not addressed in this book – is there more to the world? Where do they get some of the things they can’t make? However, it is the strongest of the three (well, three and a set of novellas) that make up this series. And it does get you thinking, even as an adult – where do I belong and why? I have read this book too many times to count, in hard cover, soft cover and on my kobo app. The ISBN is 9780062024039.